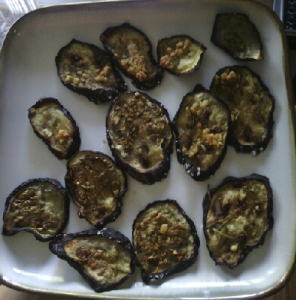 Lay the eggplant in a single layer on baking sheet(s) and sprinkle with salt. Let it sit for up to an hour to leach out water before baking. Use a towel to absorb any additional water. Bake for 20-30 minutes until crisp.